The Andela Fellowship which is a full time employment opportunity is designed to develop developers to build on their skills, expertise and experience while working with global technology companies. Are you passionate about technology? Do you dream of becoming an elite software developer? If so, Fuzu is reaching out with some exciting news! As part of our commitment to bringing you various opportunities to help you build an enriching career, we have partnered with Andela to bring you the Andela Fellowship. Andela is a technology company that specialises in developing developers whilst build engineering teams around the world. 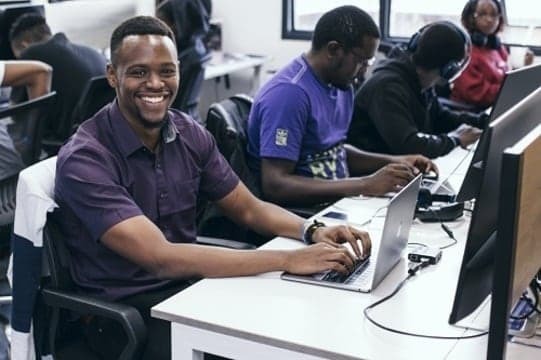 In four years, Andela has so far hired 1,000 developers and was last year named the “Best Place to Work in Africa,” with tech campuses in Lagos, Nairobi, Kampala and Kigali. Some of Andela’s partners include Safaricom, Mastercard Labs and Viacom. Developers working with Andela are assured a competitive salary, global exposure, career growth, a vibrant work culture, working other driven and passionate developers, as well as professional and leadership development. So, if you’re looking to master the craft of software development while building technology for high-growth companies around the world, Andela is looking for you! They’re looking to hire 1000 developers in Africa in 2019. Apply today by clicking here and get your chance to change the world! The application submission deadline is February 8, 2019. Don’t forget to share this message with your friends and family so that they too can benefit from this partnership. Also, keep checking your emails for more exciting partnerships and opportunities from us! Hi, am an agroforester with no knowledge on coding, do i qualify? Applying right away. Hope to be considered. Hello am.intrested...kindly.help.om how to get there..
With high regards Ann. Thanks for the update. I'll be working on that very instantly. The best job to be. Software developers are the world controllers. Great job. are we paying for the training? Hi Moses, the fellowship does not charge any cost. How can I be part of you please? Great. Much interest. Thank you. Hi Everylne, you can apply for the fellowship as long as you have an interest in software development. Thanks Ann.Message well received. Ready to receive your directions on how to apply for the job Best Regards. Thanks , this is good. Thanks i must try it just now. Awesome thing, am very interested. Thanks FUZU,how do i apply? Thanks fuzu. So how do I apply? Good one how can i apply ? Hi, I am a computer science graduate. Coding is my hobby and i do it with passion. I can do web programming and web design. Where can i start please? It's an awesome job and am interested. How do I apply? Hi Ann, I just finished my undergraduate though in a different field, but I have a passion and interest in this. Is it possible? If yes, how can I apply please? Thanks much. Will get in touch although my IT skills are at low level am very much interested. 100% Interested, how can I get to it? I want to apply but how? Thanking you so much Ann.Message well received. Ready to receive your directions on how to land on the job Best Regards. i need the application form please. Am very much interested. Kindly consider me. Am passionate about technology,how do I apply? I like it how do i apply? Be sure to read all the terms and conditions. I am interested ,though am an undergraduate taking full time course, is it still possible for me to apply? Kindly my passion and dream,is my hope to come true through Andela technology partners,my aim is to work under minimal supervision,thanks. Very innovative and congratulations on building the Africa we look up to. Thanks so much for the mail...How can I apply for this Andela fellowship? Hey Ann, I am very interested. Kindly keep me updated. Regards Anthony. Hi Beverly, you have to be 18 years and above to participate in the Andela fellowship.